KR Rook Single Tote is an awesome single tote that includes separate space for your ball and your shoes. This bag is offered in a wide variety of colors. Zippered, side shoe compartment holds up to size 11. 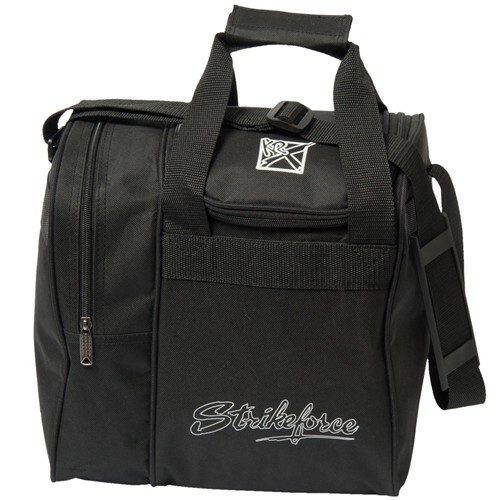 Due to the time it takes to produce the KR Strikeforce Rook Single Tote Black ball it will ship in immediately. We cannot ship this ball outside the United States.